I've never heard of an olive Blowtorch, but the yellow Croc Master was in the lost wave 6 with Rock Viper and Crazy Legs. Wait, Rock Viper's wave wasn't lost. I saw that thing at TRU and passed on it because it sucked. Was there another release of Rock Viper that got lost? No, not the yellow one. There was a planned running change to give Blowtorch colors based in preproduction concepts of his original 1984 toy, and Croc Master would get Python Patrol colors, but they never happened. Good to see Hasbro sticks to its guns on running changes that stand still, heh. Yes, because everyone being the same color worked so well for the RoC line. Yup, all-black was terrible on dozens of figures at retail at one time. In my IG forces though, which have been collected as they trickled out from various sources over the course of 7 years and supplemented with a few customs, this Undertow is going to look boss. Seriously though, that's not what the toyline has ever really been about and certainly not what the Collector's Club line of figures is supposed to be about. If we wanted something almost right we could kitbash parts. I guess it makes a certain amount of sense though as they're just homaging their earlier Club repaint vs the original figure. Yup. I might point out that the toyline and Collectors' Club have not been about giving fans the entire ARAH line completely redone in every color and detail that it had before, don't you dare change a thing but you also need to do it better and improve it too. With respect, I think the idea that it's "almost right" or that only the original can be homaged is the fallacy here, not my desire for a little bit more cohesion in a single faction. Edited by Lukeblast, 11 February 2015 - 07:10 PM. My own opinion obviously, but while I get why a guy like Destro would need a private army to protect his assets, the concept of Iron Grenadiers as a third faction in the war just rubs me the wrong way. Considering the bios at least never painted the Iron Grenadiers as an actual "army" so much as Destro's personal mercenaries/product testers/instigators/telemarketers, I'm a little iffy on the third war faction, too. I always got the feeling that there were maybe a few hundred of them, tops, which is why they were all considered highly trained and well compensated. Edited by Spark, 12 February 2015 - 10:50 AM. I'm not saying there's no discussion to be had about how this (or any/every other) figure could be improved. I'm objecting to being told my personal desires are at odds with the purpose of the line (I never even implied they were aligned), immediately followed by the imposition of personal desires as though that were the purpose of the line. I was just saying why I, myself, don't have a problem with the colors on this figure and why I, myself, don't particularly want the original colors. It wasn't meant to say others shouldn't want them or that we should never get them. There's still room for improvement; just for starters I'm probably going to find a rebreather from Depth Charge and bin that Torpedo backpack. Oh you misunderstand me, I'm raising no objections over the choice of color scheme. Just the choice for the base figure that leaves me unimpressed. Rather than using the deco Recondo had as the Tiger Fly pilot, they went with a preproduction one. Fascinating. To nobody's surprise, GI Joe is largely ignored by Hasbro's investor event, outside a blurb about live action films. 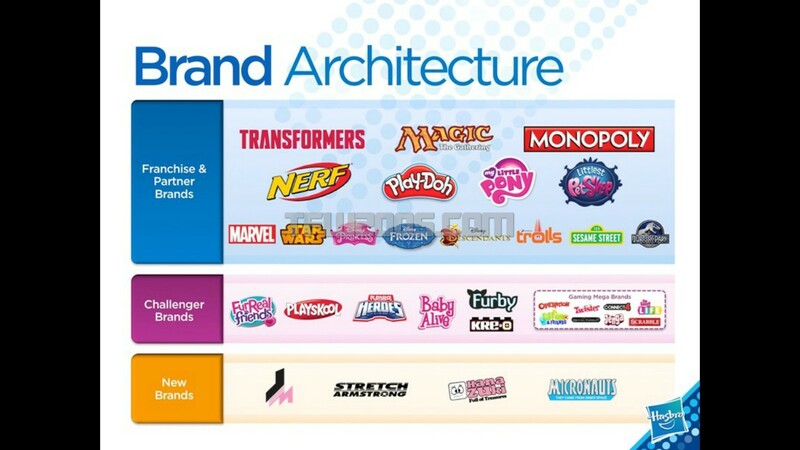 It's not that Joe wasn't mentioned that bothers me, its the fact they keep playing up Stretch Armstrong and Micronauts as "new brands" when we haven't seen ANYTHING from them at all. At least Joe had a live action movie a couple years ago and still has product out at stores, even if just TRU. Edited by Steevy Maximus, 13 February 2015 - 10:54 AM. Now THERE's a franchise I'm okay with mixing with GI Joe. Especially if Vac-Man joins up with Cobra. 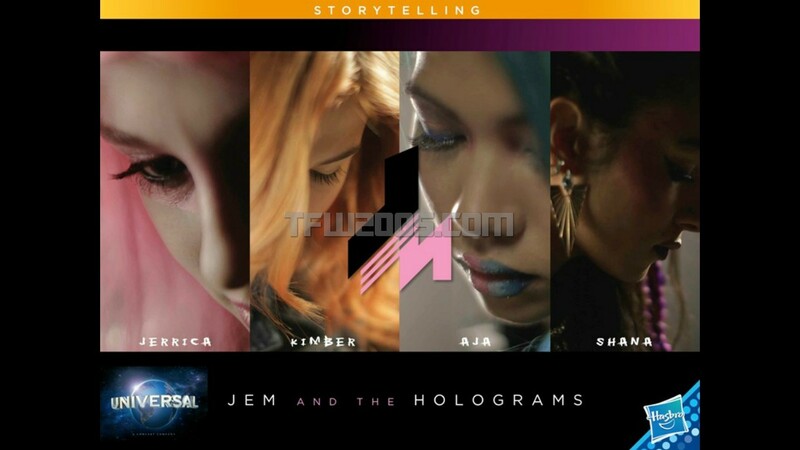 That logo is for Jem. Edited by Dake, 13 February 2015 - 12:35 PM. Because he's not particularly exciting? I like the character, but have no particular attachment to him, nor do I have a particular attachment to Tiger Force in general. It looks fine to me, but it was never going to be a thing I wanted no matter how it looked. At least G.I. Joe will be getting a mini call out with Combiner Wars Viper. I will by two my Cobra Commander Hot Shot and SerpentOR can use for troops. Now I'm left wanting Crimson Guard transformers though. Nick got AoE Hot Shot and found the Retaliation Cobra Commander head fit it perfectly so...Cobra Commander Hot Shot. Edited by MrBlud, 15 February 2015 - 03:21 PM. I mean, I posted it in this thread!